a behemoth. Certainly there are much longer novels out there, but rarely does one see a creature matching this degree of size and power. Dhalgren is the first novel that I’ve read that manages to effectively transform the reading process itself into an experience of culture. 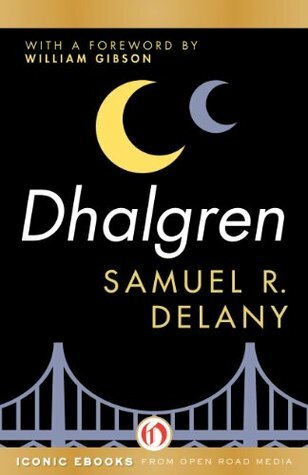 In other words, Delany’s construction and style make this a metanovel where the reading of it, in all its nonstandard ways, creates the sensations of Dhalgren’s characters and settings a reality in the reader. Just as ‘The Kid’ enters into the bizarrely incomprehensible city of Bellona, so goes the reader into a hazy experience of uncertainty and wonder that catalyzes introspection and revelation. Now granted, not everyone is going to find this to be a good thing. If you only care about entertainment and story, don’t bother, but if you appreciate something more, this is a city you should enter, an experience of which you should partake. Dhalgren is apocalyptic. Typically this genre within science fiction uses the popular definition of the word, to convey disaster, or post-disaster. In Dhalgren Bellona has gone through some sort of disaster, but the remainder of the world is said to be fine. Bellona is isolated in its trauma. Delany does not use this genre to explore post-apocalyptic action, such as the contrasts of human decency or barbarism that come in response to a loss of civilization. Instead he is using it to explore the concept of apocalypse in its original sense: a revealing. Within the novel itself isolated Bellona provides the environment for the unreliable, point-of-view protagonist to discover himself. ‘The Kid’ is an amnesiac – of sorts – with a mental history suggesting much of what he sees and records may be incorrect. Though he never determines who exactly he is, he does go through revelations regarding his nature. Delany seems to link this process of apocalypse intimately with the culture of art and community, of creativity and the act of creating to explore with others this business of existence and living. Lost in Bellona, “The Kid” becomes the leader of a gang, an influential poet, and an excellent recorder of the details of living in this weird city. Simultaneously Dhalgren is a revelation to the reader: the unveiling of a period of history, of a counter culture. Like any good apocalyptic literature, Bellona is a symbol for a time that has largely passed, but that does not make the novel dated, for its themes are universal. Though I wasn’t born until after the era of culture this novel manifests, I suspect that reading Dhalgren is a fair approximation without a time machine on hand.Dhalgren is inspirational, either for adoration or derision, or sometimes both. It is easy to see why the novel is beloved by those like William Gibson, who writes a lovely introduction to this edition. Yet, other critics hate this novel with zeal. If it’s not your cup of tea, it’s easy to see how it could infuriate you. The opening and closing portions of the novel are the most daunting, so I wouldn’t suggest giving up on this until you reach the third chapter and still find it unreadable. If by that point you are interested it is worth continuing. Yet, Dhalgren isn’t a perfect novel (or metanovel even). It has its own proper issues. By the last chapters all points have been covered really, and it begins to weigh as excessively written. Given how quickly the first publication of Dhalgren was rushed out (with numerous errors that later had to be fixed – and couldn’t have been easy to find considering how much intentional errors/incomprehensible bits there are) one wishes that an editor would have taken a sterner red marker to the manuscript. Dhalgren is literature, only minimally science fiction, and in keeping with its focus on detail over ‘big picture’ there are some rather frank depictions of sexuality in its myriad forms. Dhalgren is special; I will not forget the experience of stumbling through its pages, lost on the ever-shifting streets of Bellona, entranced by the mysterious wonders writ upon the skies in moments of bright clarity amid hazy gray fogs.